Microsoft’s Windows 10 April 2018 Update is finally here as promised, after months of testing and a few delays, non Windows Insiders can now get the latest version of Windows. Microsoft is primarily focusing this update on Fluent Design – its new design language – and cross-device compatibility as enabled by Edge and Timeline, which we’ll delve into shortly. The Windows 10 April 2018 update may not be the most exciting update, but it is feature-packed with a lot of tools that – depending on how you use your PC – can make you more productive. If the Windows 10 April 2018 Update were to have a headlining feature, Timeline would be it. 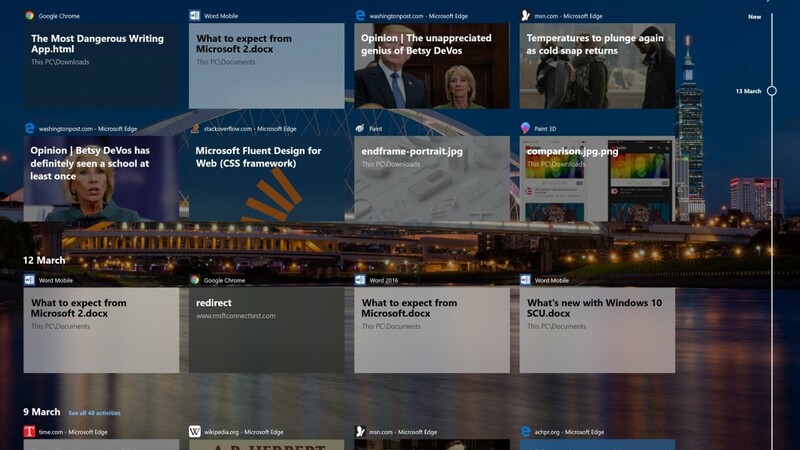 Timeline is a new feature in Windows 10 which allows users to keep track of all their work across various devices, Windows 10, iOS and Android included. This is facilitated by what Microsoft calls “activities”. To describe activities briefly, they can be conceptualized as a combination of “apps” plus “file”. That is to say, Windows keeps track of what files you have open and in which app, and roams this data across your devices so you can continue working on a different device without skipping a beat. For example, I was reading a PDF in Chrome a few weeks ago. Should I want to resume that experience, I merely have to open Task View, and scroll down until I find Chrome and the linked PDF, and re-open it from there. This feature works best with Microsoft apps and UWP apps. You won’t see webpages opened in Chrome for instance, but you’ll see Edge pages. This isn’t limited to Windows either, you’ll see webpages opened in Edge on Android and iOS, and you’ll also be able to continue work on documents started on your phone or tablet. Fluent Design is Microsoft’s design language used on all platforms from Windows 10 to the Xbox to even Android with Microsoft Launcher. 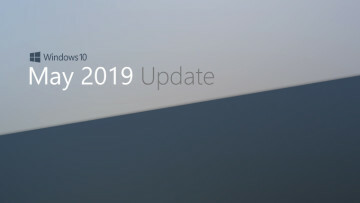 Fluent Design debuted in Windows 10 last year, and with the April 2018 Update, the company is continuing to make more elements of Windows 10 "fluent". The two most common elements of Fluent Design that users will notice in this update are the Acrylic and Reveal elements. Acrylic is the transparent frosted glass-like effect that Microsoft uses to simulate blur, while Reveal lighting is a neat effect that highlights the movement of the cursor across the screen. Acrylic has been applied to the share flyout, the taskbar, Microsoft's Edge browser, and the Settings app. 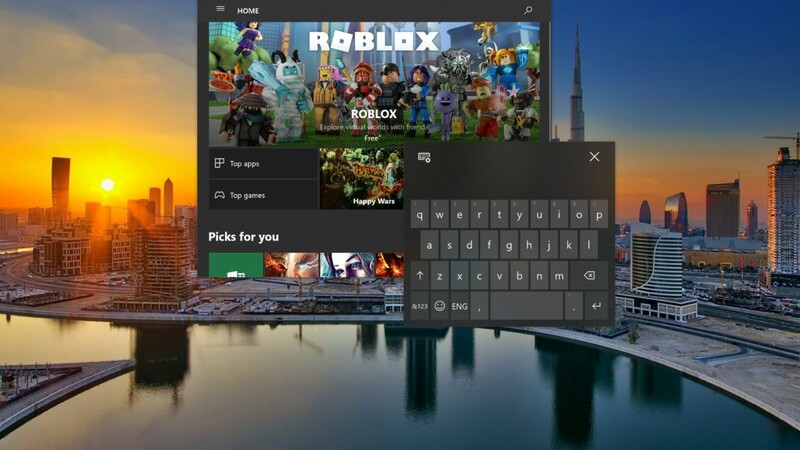 The Reveal element, on the other hand, now finds itself present in the Start Menu, the calendar flyout on the taskbar, and system apps like Edge and the Settings app. Microsoft will also be updating the built-in Messaging app with Acrylic. While the app doesn’t do much at the moment, the rise of e-SIMs and Always ﻿Connected PCs means that users will probably be using this app a little more in the future for carrier texts. Microsoft is also making a number of changes to Cortana in the Windows 10 April 2018 Update. First of all, all contextual, proactive content has been stripped from the assistant's interface. This means that Cortana's home-screen will no longer offer you proactive tips on the news and the weather, Microsoft will be moving those to the Action Center instead, while Cortana’s interface will shift focus to showing you tips of what you can do, and expose activities it thinks you would want to continue. For U.S. users, Microsoft will be changing Cortana a little more than that. The company has evolved the UX of Cortana's Notebook so that users can make better use of Cortana's Skills and List features. There's a new in-app destination called "Organizer" which lets users access Lists and Reminders which were typically segregated. 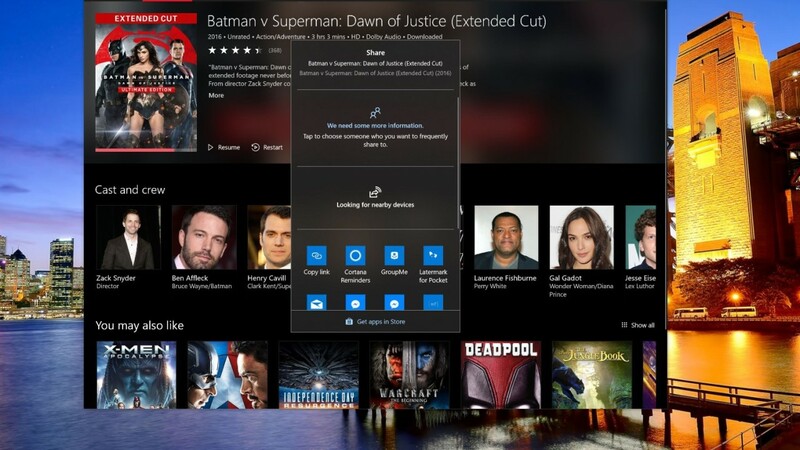 Organizer will also include "Collections", which lets you save things like Recipes and Movies from webpages, think Pinterest, but from Microsoft. 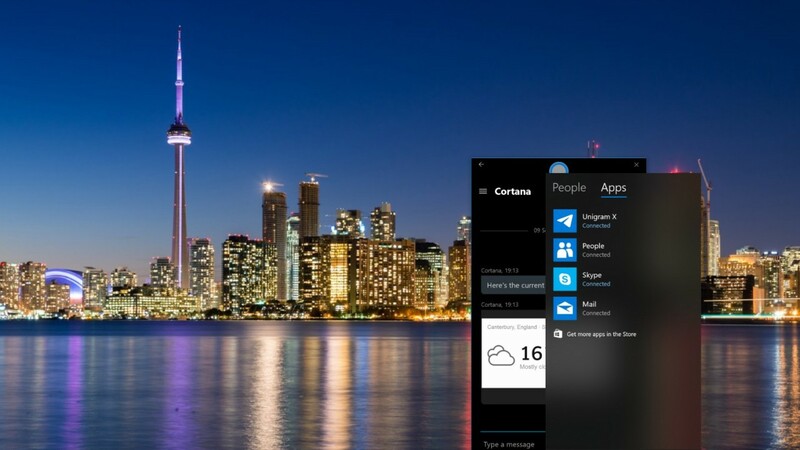 Aside from Organizer, the firm has also added a new tab in the Notebook for Cortana skills like music providers, connected homes, etc. This is so users can keep track of all the offered skills and find more useful ones as they explore Cortana. Microsoft says that they'll be offering more skills to additional markets in time, but for now, the skills are being limited to Cortana in the U.S.
Microsoft has taken further steps towards support for Progressive Web Apps in Windows 10. The Redmond giant implemented support for service workers in Edge last year. Service Workers are a set of APIs which allow webpages to function when devices are either offline or have limited functionality. They're also what enable your favorite sites to send you notifications about updates without having them open in a new tab. Microsoft will be making Progressive Web Apps available in the Store later this year, and comprehensive support for the necessary APIs was the final piece needed to get this project off the ground. Another user-facing feature is an improvement of the auto-fill functionality on Edge. In Google's Chrome, users can have the browser fill in their card details from their Google accounts and then have them automatically entered in online checkouts without having to retype the card number. Microsoft is finally implementing that feature into Edge. Any card linked to your Microsoft account is now going to be available for use in auto-fill in Edge. In another improvement to auto-fill, a user can also save address information so that it can automatically fill that in when needed for things like deliveries, address registration and so on. Microsoft is paying a lot of attention to the reading experience and has revamped the reading view in Edge so eBooks, PDF files, and webpages in reading mode all look the same for a consistent experience. Microsoft has also added a new full-screen button when in reading mode. This makes it display your content in full-screen without browser chrome clutter. Speaking of browser chrome, Microsoft has redesigned Edge in the April 2018 Update to take fuller advantage of Fluent Design. 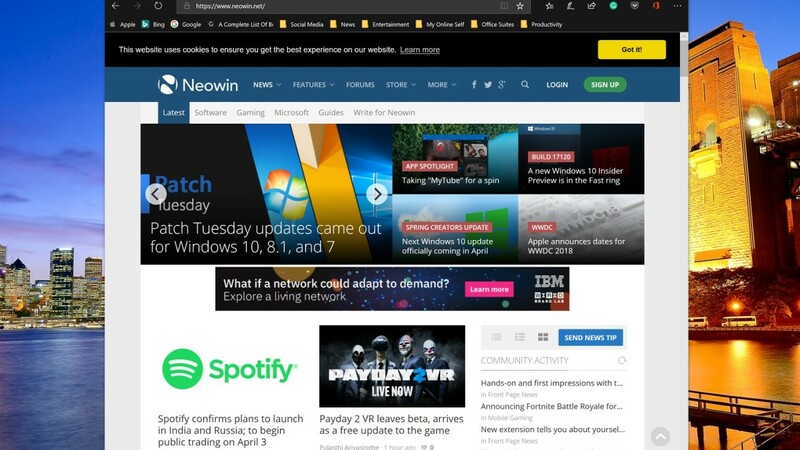 While Edge already incorporated Fluent Design in the Fall Creators Update, Microsoft is indulging in the liberal use of Acrylic in the April 2018 Update throughout Edge including the address bar, reading mode, and so on. For users who prefer dark mode, Microsoft has shifted Edge's dark theme from a dark gray theme to a deep-black theme, which not only looks better but also provides better contrast. In Reading Mode, Microsoft has a new feature it calls Grammar Tools, aimed at improving mastery of reading your language of choice. When enabled, it will let you break down words into syllables or highlight certain parts of speech like Nouns, Verbs, etc. I would think it is most useful for readers who are learning a new language. It will work in Edge's reading mode for webpages, or alternatively if you load up an ePub file. You'll need to download a new add-on from the store when prompted, but there are no other barriers to using this. For users who buy eBooks from the Microsoft Store, this update will improve the data roaming functionality for Edge. This means that when you stop reading a book in Edge on one device and open it on another device, Microsoft will make sure that it has kept track of all the changes such as reading progress, whatever notes you've made, and all the annotations scribbled on the eBook and sync it to the new device. For those who prefer to read free ePub files on the web from Project Gutenberg or similar sites, you can now save your files from there to your PC. Microsoft is also﻿ making some small tweaks to Edge's InPrivate mode. Extensions will now work when browsing privately, so you can still use your translator and Adblock extensions while in InPrivate mode. This has long since been supported by rival browsers like Google's Chrome and has been requested ever since Edge first offered extensions. Finally, Microsoft now lets users mute tabs in Edge. By selecting and clicking the audio icon, users can now mute tabs which are actively playing audio, and mitigate the scourge of auto-play video. 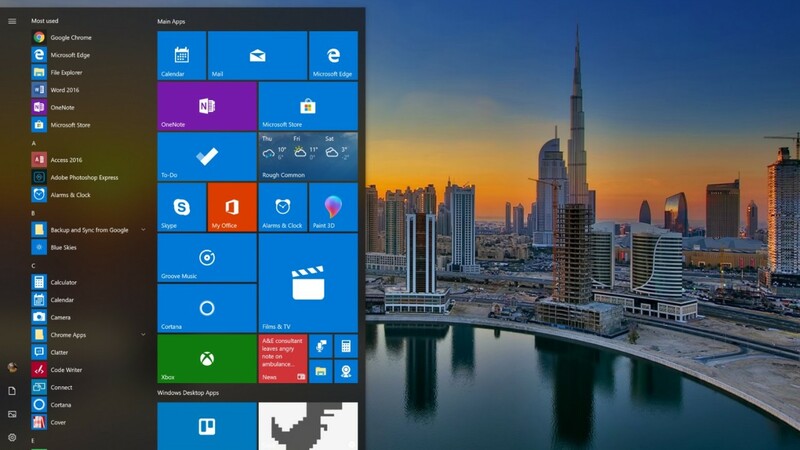 Windows 10 is a hybrid OS, and Microsoft has paid attention to the touch and pen input modes in this release. 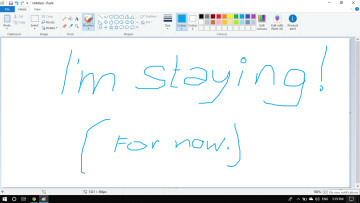 For devices which are pen-enabled, Microsoft has added in a new embedded handwriting panel. What this means is that the handwriting panel is now embedded into the text field and appears inline as opposed to appearing where the touch keyboard would as in previous versions of Windows. Pen users can now write directly into the search bar of apps like Edge or the Settings app without needing an intermediate. The touch keyboard in Windows has been given a coat of Acrylic. It now reflects the colors of the content "behind" it as you type in tablet mode. Microsoft has also added support for shape-writing when a user is making use of the full-width touch keyboard. Shape writing, if you need a refresher, is the Swype-style mode of typing that Microsoft first brought to the Windows device family starting with Window Phone 8.1 a few years ago. Users had long since hoped that the Windows team would be as quick bringing it to Windows desktop for tablet and hybrid devices like the Surface. It took a while, but it's finally here. Microsoft has added a new feature to Windows 10 known as Near Share (or Nearby Share) which shares many similarities with AirDrop on Apple's devices. Users are able to share content from apps which make use of Microsoft's share extension to other Windows PCs which are in Bluetooth range. It's a feature that could come in handy when you have patchy Wi-Fi and want to share a file with someone in the same room, otherwise, sharing via cloud services is often more convenient and offers more flexibility. 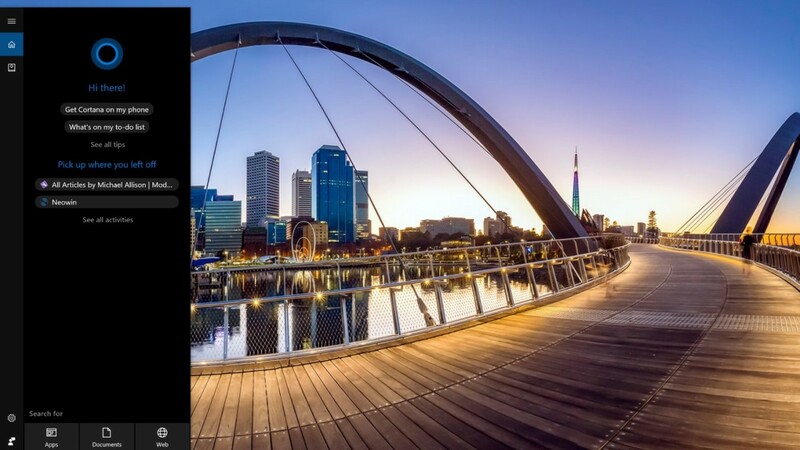 Microsoft has evolved the My People experience introduced in the previous Fall Creators Update by adding drag and drop support for contacts pinned to the taskbar and in the People flyout, so you can rearrange them more easily. Finally, April 2018 Update users can also control how many contacts show up in the taskbar. Microsoft has lifted the three contacts limit in the Fall Creators Update, and users can choose how many they want from the taskbar settings menu. You can now have as few as one contact, or as many as 10. Microsoft is doing more to address privacy concerns with the Windows 10 April 2018 Update; privacy matters are taken very seriously, and more concessions have been made in this update to favour user control. 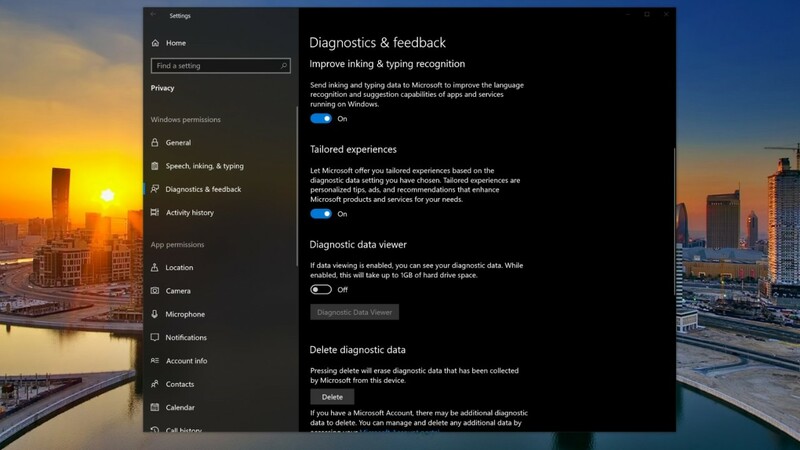 This time around, the company has added a Diagnostics Data Viewer, this is an app that allows users to see exactly what data their PCs are sending back to Microsoft. With increased transparency on this front, Microsoft is likely to reduce conspiracy theories about Windows 10 collecting this and that piece of data, now that the system shows exactly what it is transmitting. It is not on by default and you'll have to set it up and wait a while before it shows what's been sent, but it is still better than nothing. Finally, Microsoft now lets you opt out of data collection for inking and typing recognition. Users were concerned about Windows 10 acting as a keylogger in earlier iterations of the OS. Now for those who don't fully trust Microsoft with their data, they have the option to opt out. It's worth noting that Microsoft has stated that this data is only ever used to improve Windows 10's input services. Windows Update will now keep your PC on so it can successfully complete an update. Users can now control the download bandwidth used in foreground downloads via Windows Update. Start-up app controls have been moved to the Settings app, and you can now enable and disable them from the Settings app in addition to the Task Manager. Microsoft has expanded support for HDR video to more Windows devices. You can also now additionally improve HDR videos by adjusting the brightness in Settings > System > Display if your device is HDR capable. Microsoft’s Emoji panel can now be used in more languages, and you can now use It to insert multiple emoji at once. Enterprise users can now run custom scripts during startup. The April 2018 Update is a full-featured update, with changes to nearly every facet of Windows. Despite that, much of its usefulness is directly tied to how much you use Microsoft Services on your PC. If you use Chrome, Google Docs and ignore Cortana, many of its user-facing features will be wasted on you. 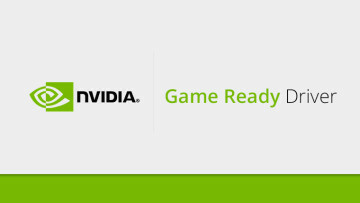 Nevertheless, many can appreciate changes to HDR support, privacy, and Windows Update management.